Hi Summer, I’m Jason, nice to meet you. I’m representing Tron.Live to conduct this interview with you today. Can you briefly let the community know a little about yourself? Hello everyone, my name is Summer, the head of marketing at Odyssey(OCN). It’s a pleasure for me to talk to all of you here today. So, TRON’s strategic partner, a lot of Tronics already know about your team. We know you had a successful ICO and your focus is on decentralized sharing economy. Can you let those who are not so familiar with Odyssey to learn more about what you do and your vision? Yes sure. Odyssey(OCN) was initiated by Odyssey Protocol Foundation, registered in Singapore. 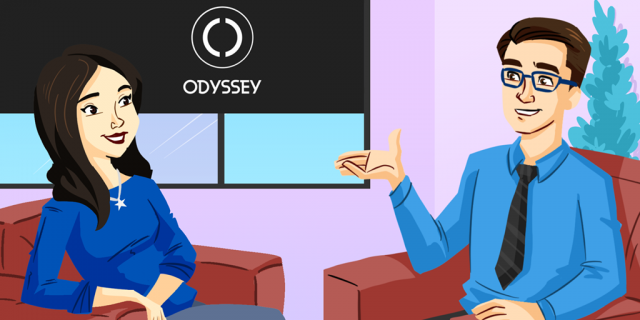 Odyssey brings together our robust cross-protocol blockchain with convenient and interoperable cryptocurrency transaction capabilities, delivered through a network of offerings spanning from OCPay to Odyssey Wallet, from businesses to services, all within the Odyssey ecosystem. Together with third-party services, we provide a bouquet of global e-services including payment options and boosts in networking to the sharing economy and a diversity of other fields. Odyssey builds a universal protocol based on trust and credit for a world of possibilities. That’s great. Last month, Odyssey officially introduces OCP, OCN Chain’s official payment token. OCP will be running on its own blockchain. Will OCN still be running on TRON platform? I think that lots of community members are actually confused about this and it will be best if it can be cleared up. In the future, we will also work with other partnerships to support more cross-chain functions. We will work on how to support token transfer from other blockchains to OCN Chain, as well as on allowing circulation of tokens from other blockchains on OCN Chain, with OCN Chain as the intermediary. All this will be available on OCPay to support better asset management flexibility. Thanks for the details. Why did your team decide to join TRON SR? TRON is a strategic partner to Odyssey (OCN) and Justin is our Chief advisor. Tron is aiming to build an infrastructure for a truly decentralized Internet. The Tron Protocol, one of the largest blockchain-based operating systems in the world, offers scalable, high-availability, and high-throughput support that serves as the foundation for all decentralized applications in the TRON ecosystem. It also provides better compatibility for Ethereum smart contracts through an innovative, pluggable smart contract platform. Due to Odyssey´s goal of building interoperability capabilities between OCN Chain and TRON’s Mainnet, Odyssey being a Super Representative will play a key role in governing the TRON community by ensuring basic functions, e.g. block generation and bookkeeping, and obtain corresponding earnings. Additionally, ODYSSEY is testing and evaluating TRON’s Mainnet as a potential platform for building our infrastructure that will allow the next decentralized sharing economy. That’s good to know. Can you also let us know why decentralized sharing economy can help in the ecosystem of TRON? The sharing economy is becoming the next consumption model, with bike-sharing such as oBike, car-hauling like Uber, or on-demand services like Netflix and Spotify growing at rapid speeds. Technologies such as blockchain will be one of the major driving forces making the sharing economy the future of consuming products. With Odyssey being the leading Blockchain company aiming to decentralize the sharing economy as well as building cross-chain interoperability, TRON Mainnet can expect a bright future in integrating growing services and customers within the sharing economy industry. I can see there is a lot of potentials there. What will Odyssey do specifically to help the growth of TRON? Can you give us some examples? Sharing economy is estimated to be worth more than 335 billion USD by 2025 with new industries and services entering this new type of consumption. With Odyssey´s development of our cross-chain OCNChain and with strong support from our community members, Odyssey will help TRON grow by accessing new domains and customers. With TRON being the first batch of blockchains that Odyssey will integrate to OCN Chain, TRONs members can expect close collaborations with Odyssey moving forward. Interoperability with TRON’s blockchain would connect integrated applications from both chains, as Odyssey aims to incorporate new services where customers can utilize rewards and credits throughout the ecosystem. As a TRON Super Representative, the Odyssey team has several years’ experience managing high tech companies and IT environments. 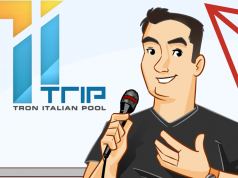 TRON can expect that the Odyssey Team will govern the TRON network efficiently and accurately as a Super Representative. Awesome. Real life mass-adoption usage of cryptocurrency is what makes the community excited. Can you share with us on what kind of integration can we expect to see on Odyssey in the future? We are proud to have already achieved OCN integrated with oBike – a global leader in bike-sharing across 17 countries with a userbase 10 million, making Odyssey one of the first blockchain companies to have real-life usage for their token. We are working with other partners to widen the usage of OCN e.g. Ducatus which has started the world first crypto café in Singapore and is projected to start 100 more franchises worldwide in the next 3 years. Additionally, we have officially started the Odyssey Partnership Program to invite merchants and companies from a wide range of industries, already having received over 100 requests and suggestions from various companies and the community. In the future, you can expect us to integrate OCN with more sharing-economy based services as well as merchants and other services. We are looking forward to it. 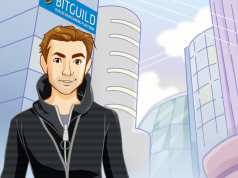 We also know that you have been attending a lot of events including the most recent unboundglobal event in Singapore. Do you think you’ll have any activities to promote this SR event and let more user know about Odyssey? Yes. We held our first tech live stream on May 29th where we discussed the opportunities of becoming a TRON Super Representative, which many of our members are very excited about. 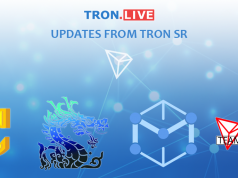 We will have more customer activities, Livestreams, and AMAs prior to the Election to promote TRON SR.
That’s great for the community to know. Can you give us a summary of why Tronics should support your team? Before we end this interview, is there any last words you would like to share with the community members? We know that many of our supporters and fans are also token holders of TRON. It is due to their support and the guidance from Justin Sun that Odyssey has attained such a strong position in the market. We are excited to collaborate with TRON and grow next to your dedicated and highly engaged community. With the development of Mainnet and Odyssey´s goal of building OCN Chain with TRON interoperability, we are excited to continue the work of mainstreaming blockchain in business operations, rewarding customer participation, and truly decentralizing the world.